Melbourne Recital Centre’s Great Romantics Competition returns in 2018. 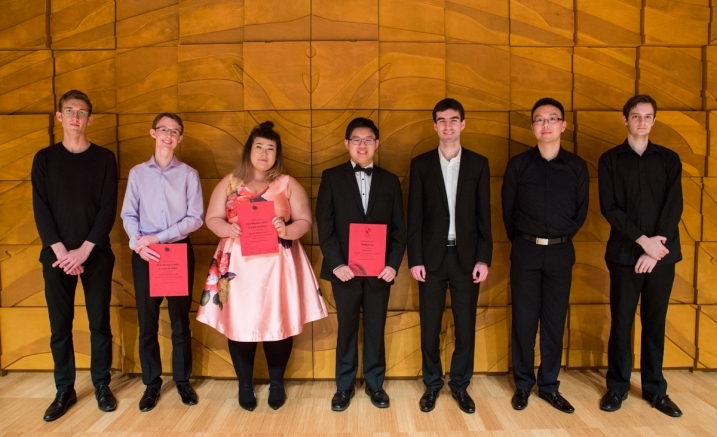 Now in its ninth year, this important national competition provides a platform for young musicians and ensembles passionate about Romantic repertoire, including such luminaries as Brahms, Liszt and Schumann. Open to soloists, duos or small ensembles, Australia’s talented young musicians will battle it out for the prestigious Elisabeth Murdoch Prize, which includes a combination of cash, recording opportunities, and a performance as part of the Peninsula Summer Music Festival. The Great Romantics Competition is supported by Annamila Pty Ltd, Mrs Margaret S. Ross AM & Dr Ian C Ross. Melbourne Recital Centre’s Great Romantics Competition returns for 2018. Entrants will compete for the $6000 Elisabeth Murdoch Prize plus performance and recording opportunities, as well as the $1,000 Kantor Encouragement Award. The Great Romantics Competition is open to instrumental and vocal soloists, duos or small ensembles (5 competitors or less), any instrument/s and university music students or recent graduates. Entrants must be aged between 18 – 25 years of age (at 1 January 2018) and permanent residents or citizens of Australia. Competition repertoire must consist of work/s composed between 1810-1900 and not exceeding 20 minutes in total duration. There will be one day of final competition performances to be held at Melbourne Recital Centre on Sunday 23 September 2018. This event is free, however tickets are required for entry. Competition applications close at midnight on Wednesday 15 August 2018. Interstate applicants are encouraged to enter and may apply for funding to support travel and accommodation expenses. Please download the competition guidelines and complete the online registration to enter. This is a FREE event however tickets are required.